TOMI Rio NOW: TOMI helped everyone to enjoy the Carnival! Every year, millions of people fill the streets of Rio de Janeiro to celebrate Carnival. This year was no exception, but it had an improvement: Rio counted on TOMI to help everyone enjoying the party! 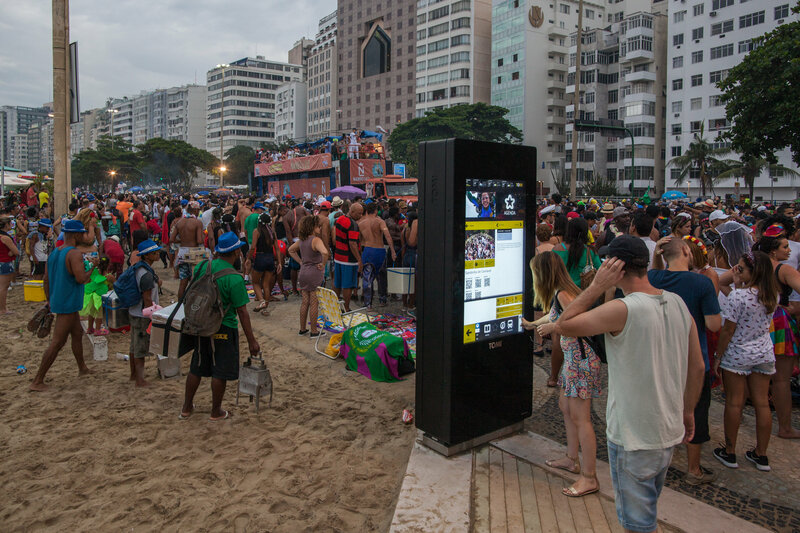 During Carnival’s days, TOMI kept busy helping people that live or were visiting Rio. 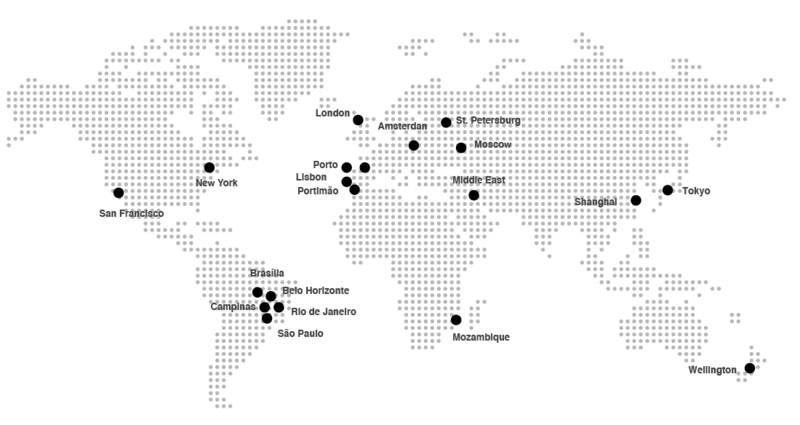 From 24th to 28th February, each TOMI in Rio’s network registred an increase of 135% on the daily average interaction rate. “Carnival” was the most searched topic, representing +78% of the interactions within the “Events” module! The average daily use of TOMI during Carnival official days was over 10 hours! TOMI was always available to help, displaying information and taking selfies. 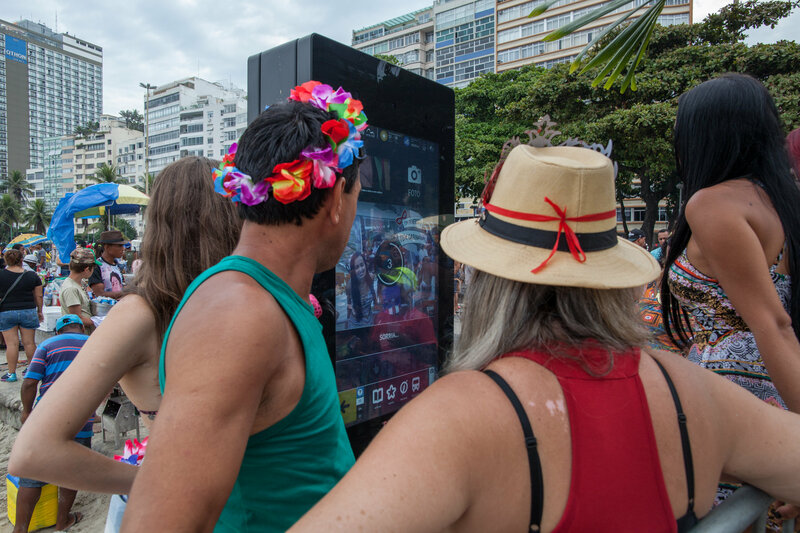 TOMI played an important role in Rio’s Carnival, offering people the opportunity to take selfies or make animated GIFs with customized frames. 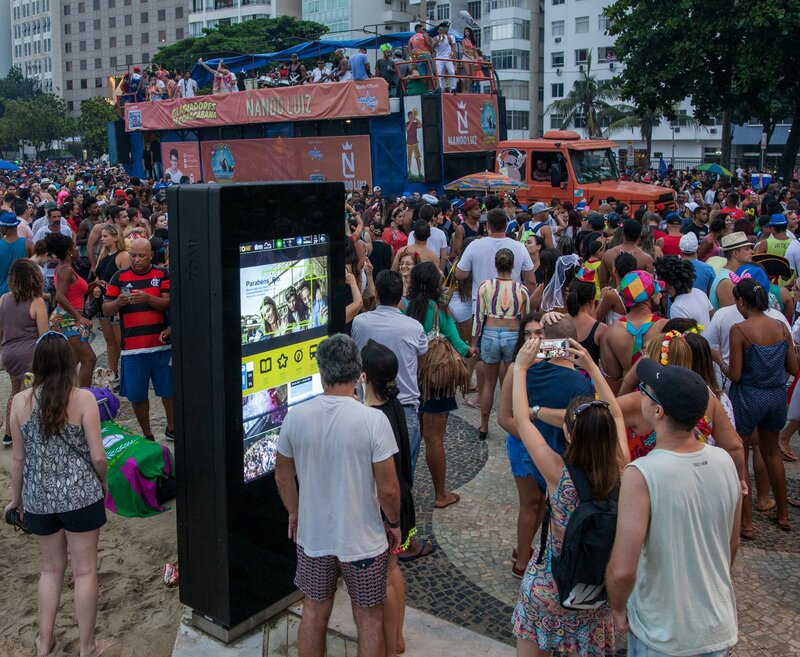 From 24th to 28th February, more than 6800 photos and GIFs were taken with the customized frames about Carnival. 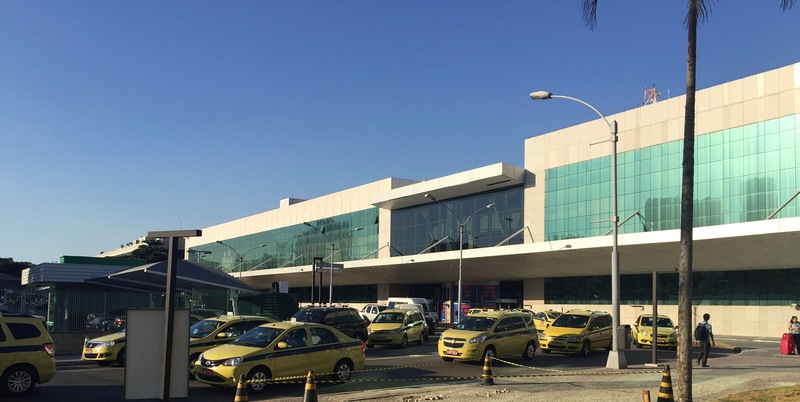 TOMI’s network in Rio de Janeiro has expanded to another important location: the Santos Dumont airport, one of the busiest airports in Brazil. Whoever lands in the city can now easily plan the whole visit right from the airport. TOMI celebrated the International Women’s Day with customized photo frames about the #IWD2017. 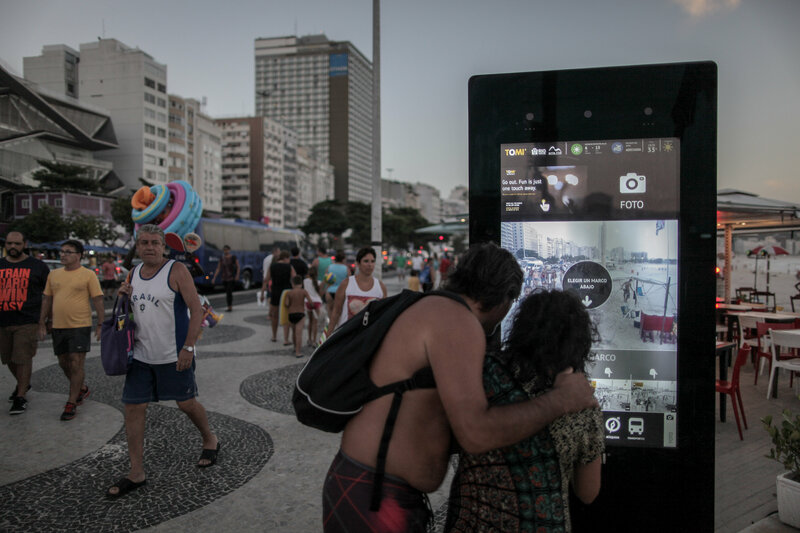 On the 8th of March, TOMI users in Rio used those specific frames in over 68% of the photos and GIFs shared.